The building blocks of a child’s imagination. The best things a child can play with are the ones that stretch their imagination. 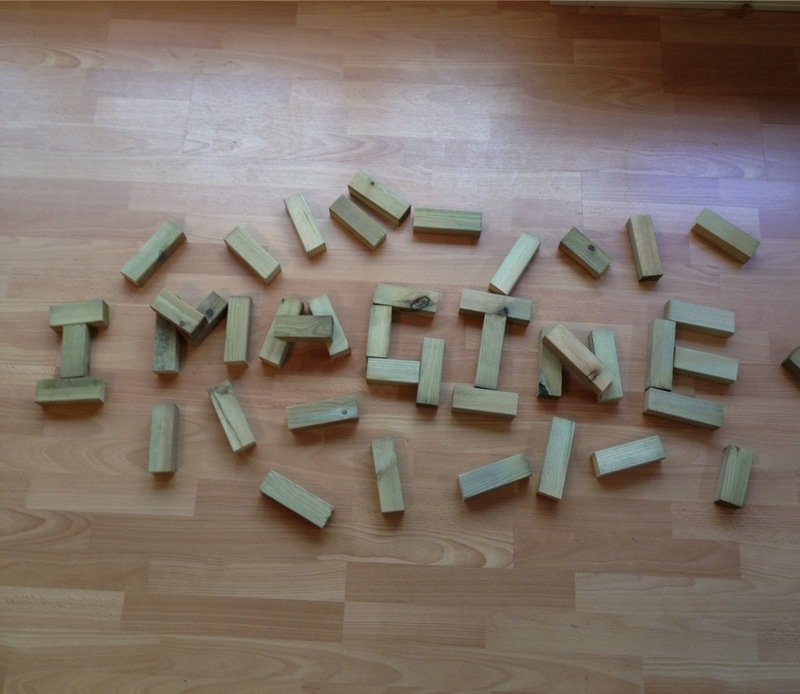 That is why a wooden block can be so much fun. A plastic space ship is always a spaceship but a wooden block can be transformed into any thing a child likes. A bike a plane or if they have a bag of them, a castle or a fort. Linda and the pre school team have a plan to use our space in pre school to produce a large scale creative build. They are going to use the boxes from our move to build it and we will update progress on it here on our blog. We won’t give details here now but I guarantee it’s going to be out of this world!